This small device is really a phenomenal achievement in the field of electronic microchip technique. 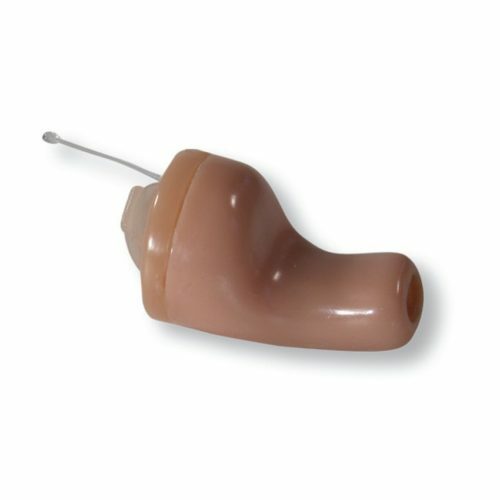 PKI 2445 is the worldwide smallest in-the-ear receiver. This earphone-receiver should not be missed in any observation where tasks have to be carried out in public areas. A complete VHF Receiver, with integrated power supply, by means of a small-sized coin cell, is placed in an ordinary earphone. It picks up the required signal and performs a perfect sound reception. The specially developed circuit board offers audio functions which normally only can be expected by large and professional radio receivers. PKI 2445 is equipped with a carrier-frequency- controlled squelch, noise filter, automatic frequency control (AFC) and two adjustable volume levels.